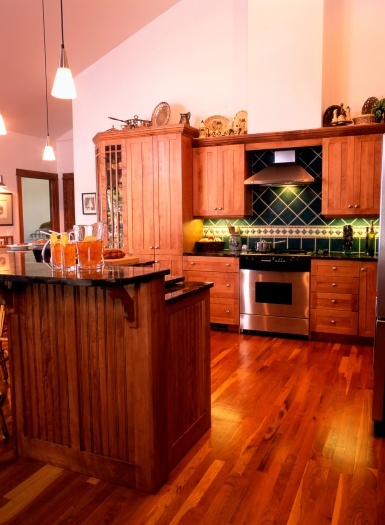 These birch kitchen cabinets give the look of cherry but for the price of birch. 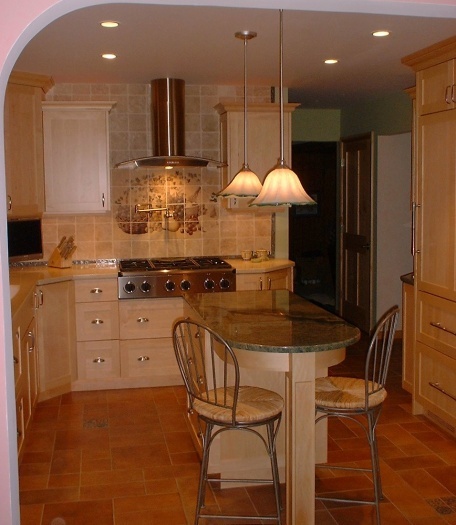 The red marinace granite countertop tops it off for a perfect kitchen. 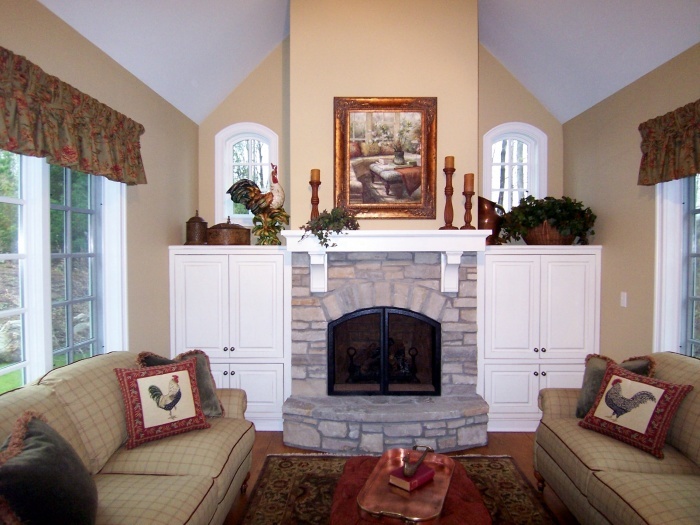 White framed inset kitchen with a lite rub that has a 48″ Wolf range as its focus. The black walnut floors really make it “pop”. Natural maple and stainless steel make a beautiful combination in this shaker style kitchen. 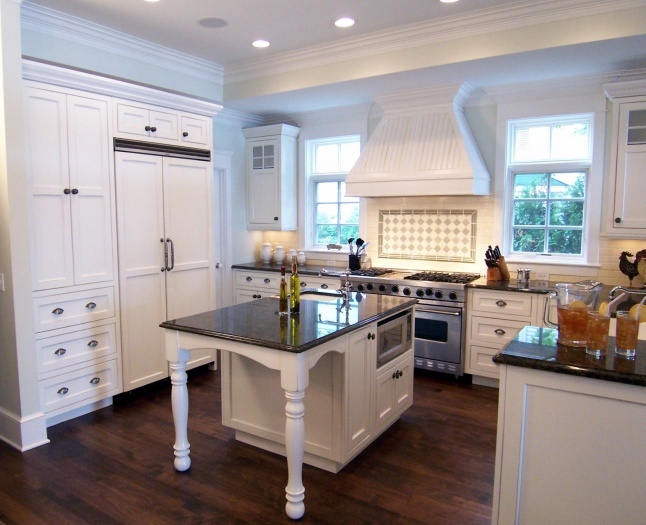 Because of the limited space of this kitchen, the simplicity of the shaker style really makes it work. 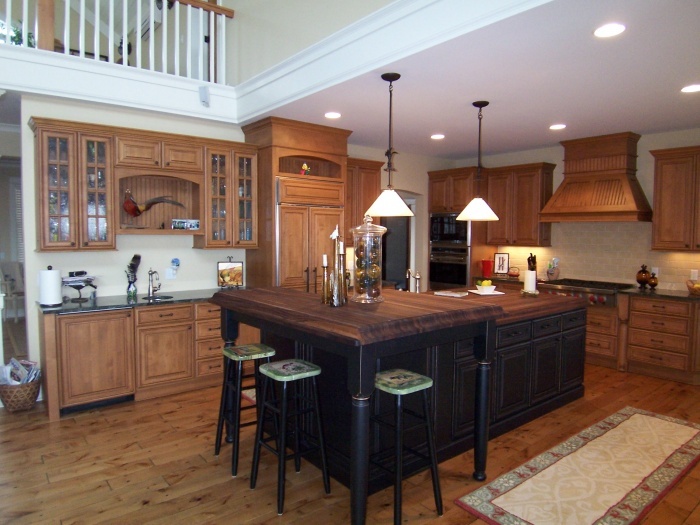 This kitchen features clear alder in both a medium brown stain and black with a lite rub. 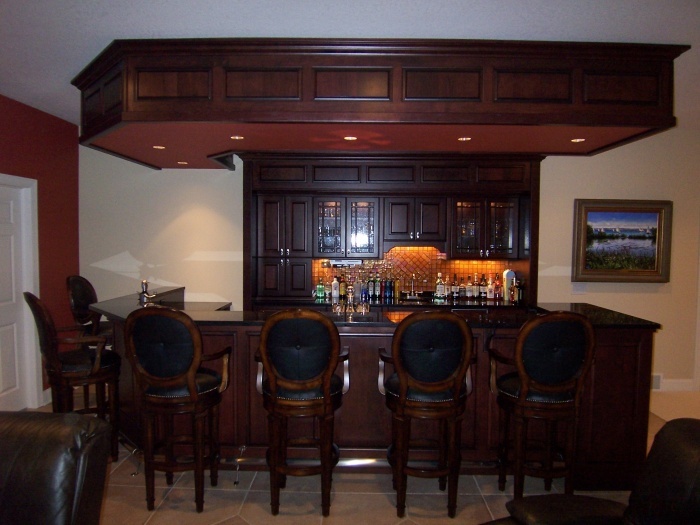 The black walnut wood top is 3′ thick which shows off the double roman ogee edge treatment.